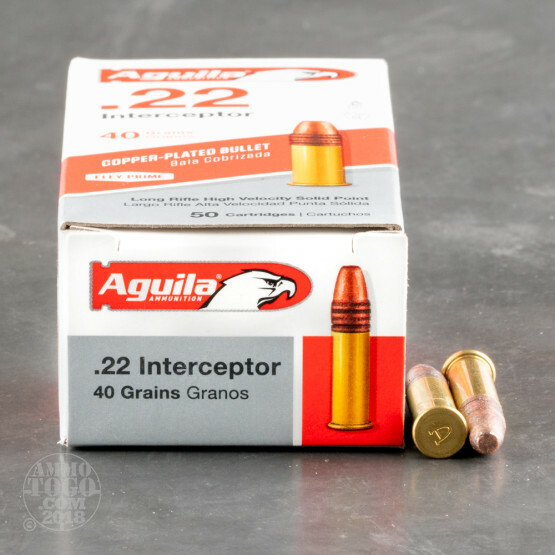 This is Aguila Interceptor .22 Long Rifle 40gr. 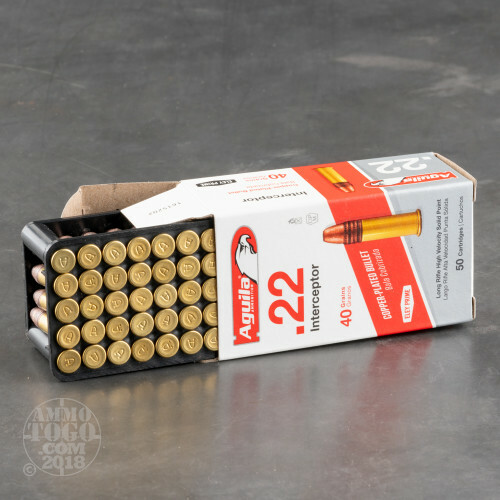 Solid Point Ammo. 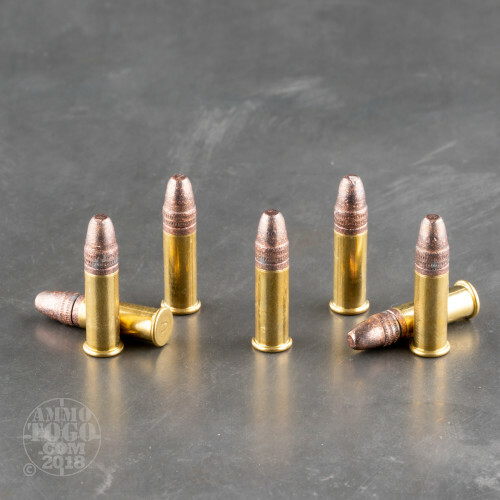 This ammo travels at a screaming 1470 feet per second. 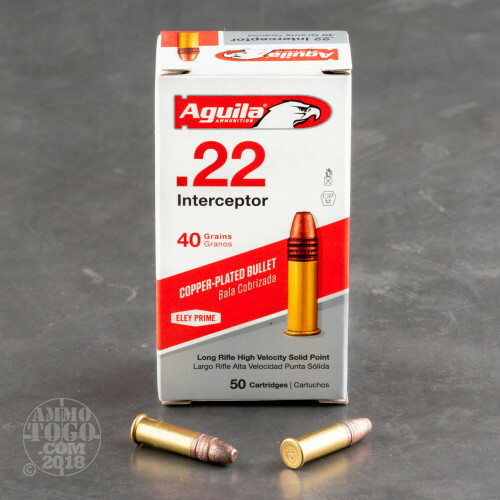 This is the fastest .22LR 40gr. load available it is 35 FPS faster than CCI Velocitor. It is packed in 50rd boxes, 500rds per brick.